Originally known as Forest City, St. Elmo is one the best preserved ghost towns in Colorado. After complaints that there were other towns with the same name, the town was renamed St. Elmo in 1880. The town was originally inhabited in1878 when gold and silver were discovered. It became an official town in1880 when it was renamed. Like any other mining town, the population of the town skyrocketed when news of the gold and silver discoveries here. Within a few months, there were almost 2000 people living in the town. Most of the population consisted of men. Within a period of ten years, various amenities including a telegraph office, town hall, school, local newspaper, five hotels, saloons, and dancing halls had sprung up in St. Elmo. In 1879, construction of the Alpine Tunnel began. The train tunnel was built through the Continental Divide and would serve to connect the Denver, South Park and Pacific railroad to St. Elmo. Despite initial plans for the completion of the tunnel in 6 months, the tunnel took more time to complete especially since construction began during winter. Structural challenges also slowed down the process and it ended up taking over 2 years to finish. It is the highest railroad tunnel and longest narrow-gauge rail tunnel in the United States. The tunnel was first used by a train in 1882. During construction, several settlement towns developed along the tunnel. Some housed the workers while others housed the miners. In 1884, one of the settlements (Woodstock) was destroyed by an avalanche that buried 18 people, 13 of which died. The remaining residents moved to a neighboring settlement. There were more than 150 mine claims in the area with most of the miners working in Mary Murphy, Pioneer, Teresa C. and The Molly mines. Of all the mine claims, Mary Murphy was the largest and had the highest produce in the area. The mine began official operation in 1870 and up to its closure in 1922; it had produced $60 million in gold along with silver, lead and zinc. After almost four decades, what was once a flourishing mining industry began to decline. 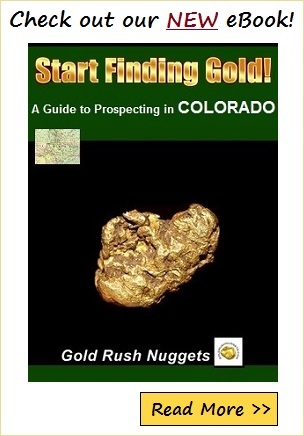 People began moving to other towns in search of gold. In 1922, the railroad was destroyed and with that, most of the residents left. With the collapse of the mining industry, most of the people left. The few that remained in the town were gone by 1930 leaving the town with less than ten residents. St. Elmo officially became a ghost town in 1952 when the post office closed following the death of the postmaster. Long after mining in St. Elmo dwindled, the Stark family, one of the prominent towns in the town, introduced tourism-related business. They rented out cabins to vacationers while at the same time running the town’s general store. Though St. Elmo is a ghost town, there are still people who live here. As Colorado’s most well-preserved ghost towns, it attracts thousands of tourists annually. The general store is open all summer. Visitors can also engage in lots of great summer activities that Colorado is known for.